Otaku Expo Reload will be held on October 8-10, 2010 at SM Megamall, Megatrade Hall 1. There will be a Group Art Competition and Individual Art competition during the event. There will be two categories and only 30 participants per category will be allowed. 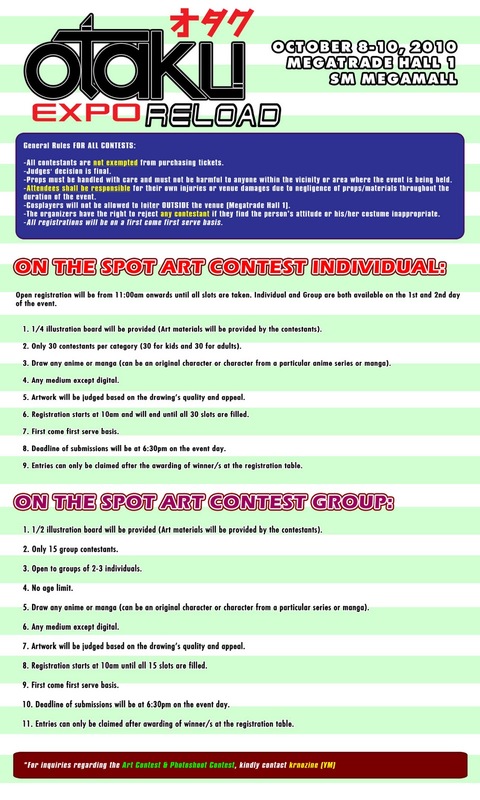 The categories are Kids and Adult art competition. Registration will be done during the first and second day of the event (October 8 and 9).